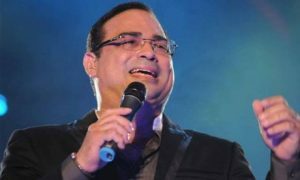 Gilberto Santa Rosa is one of the most esteemed, and certainly one of the most traditional-minded, soneros to rise to fame in the 1980s. His popularity only increased in subsequent decades, as did his stateliness. Gilberto's style of salsa isn't easily categorized, for he often changes approach from one album to the next. His straight-ahead, dance-oriented albums (e.g., Perspectiva , Auténtico ) as well as his eclectic ones (Esencia , Expresión ) tend to be his most critically celebrated. On the other hand, his lavish albums (A Dos Tiempos de un Tiempo , De Cara al Viento ) as well as his primarily romantic ones (Viceversa , Directo al Corazón ) tend to be his broadest-selling. Consequently, Santa Rosa is one of the more discussed salsa artists of his time. For sure, there's significant interest in his music and respect for his talent; however, there's little consensus about Santa Rosa's position within salsa, since his style is ever-changing. If Santa Rosa's music tends to differ stylistically from album to album, if not sometimes even song to song, his legacy remains firmly in place. He is El Caballero de la Salsa, or in English, the Gentleman of Salsa. Throughout his long career, Santa Rosa demonstrated a strong sense of character: he is individualistic, intelligent, romantic, disciplined, respectful, and mannered, not to mention talented.